FDs are attractive financial instruments for depositors looking for attractive returns and high safety. FD interest rates in Citibank range from 3.00% p.a. to 6.00% p.a. for deposits with a tenure of 7 days to less than 365 days. These deposits are known as short term deposits as they have a tenure of less than 1 year. Short term Citibank FD rates for senior citizens range from 3.50% to 6.50% p.a. Citibank FD interest rates for long term deposits with tenure of 5 years to 1095 days offer good returns. Citibank fixed deposit rates for deposits with a tenure of 1095 days is 6.50%. Senior citizen are offered deposit rates of 7.00% p.a. for long termed FDs. Citibank offers best FD rate of 6.50% on term deposits for a tenure of 401 days to 1095 days. The bank offers special interest rate on FD for senior citizens. Current Citibank FD rates for senior citizens range from 3.50% to 7.00%. Fixed Deposits rates of Citibank are a function of many factors such as monetary policies of RBI, economic growth rate, credit demand and liquidity position of the bank. A flexible deposit scheme which promises higher returns and at the same time provides liquidity wherein the customer can withdraw funds whenever required. Specially designed account for senior citizens offering higher rates of interest as compared to accounts for other individuals. The scheme has been designed to help the resident individuals, HUFs, minors and senior citizens to save tax along with great returns by investing into this fixed deposit. 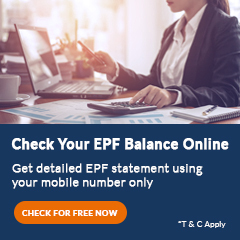 Citibank fixed deposit calculator helps you to calculate maturity value of your deposited amount at the interest rate offered compounded at quarterly. The amount of fixed deposits, interest rates on FD, deposit tenure and compounding frequency of interest together determine the maturity amount of the FD at the end of the tenure. Deposit amount – This is the initial amount deposited by a customer in Citibank. Bank may allows higher interest rate on larger deposits. 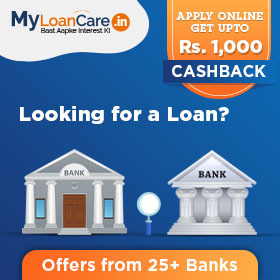 Citibank offers deposit amount in the range of Rs. 1,000 to No Limit. Rate of Interest - Interest rate is the rate charged by the bank on your fixed deposit. Citibank offers a higher rate of interest on fixed deposits of longer tenure and lower interest rate on deposits of less than a year. Highest interest rate offered by Citibank is 6.50% for deposit amount below Rs. 1 crore corresponding to a deposit tenure of years months days to years months days . Illustration: : Mr. A opens a FD account of Rs. 1 lakh with a tenure of 7 Days at an interest rate of 3.00 %. In this case, the maturity amount at the end of 7 Days will be Rs. 100,057 which includes the principal of Rs. 1 lakh and interest of Rs. 57 is earned on the principal amount during the period. Similarly, you can calculate the interest and maturity amount for higher tenures by using FD calculators. Citibank calculates quarterly interest on its fixed deposits. Premature closure of Term Deposit with Citibank is along with the lower interest rate of 1% than the contracted rate. The penal provisions for premature closure on Citibank FD are subject to change from time to time and may also vary with deposit schemes. Illustration - Mr. Rahul has opened a fixed deposit of Rs. 100,000 for 2 years in Citibank. The borrower later decided to take loan against his FD. The bank has approved a credit limit of 90% against his FD at 10% interest rate. Now, if the borrower draws Rs. 90,000 on the first of the month and then repays the money on the 1st of next month, then he is supposed to pay the interest on Rs. 90,000 availed for 1 month only. The amount he repays after 1 month is Rs. 90,744. So, the interest charged on the loan taken is Rs. 744. What is the highest FD rate for Citibank? You can earn a maximum interest of 6.50% on Citibank fixed deposit. Are there any special rates for senior citizens FD of Citibank? 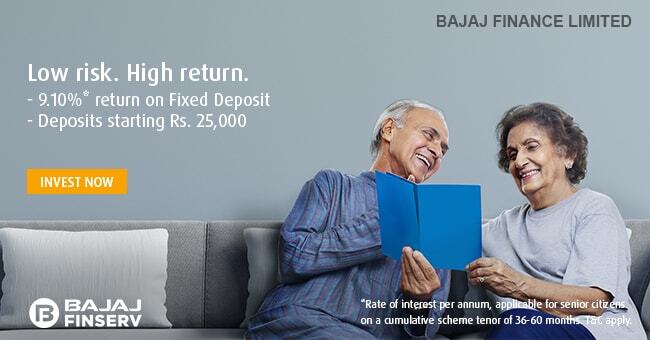 Yes, senior citizens get a higher rate on their deposits compared to FD rates. The rate of regular FD are in the range of 3.00% to 6.50%. Compared to this, the rate of senior citizens FD are in the range of 3.50% to 7.00%. What is the tenure range for Citibank Fixed Deposit? The tenure ranges from 7 days to 3 years. Is there any minimum amount that I have to give for opening a Fixed Deposit with Citibank ? The minimum deposit amount required to book an FD with Citibank is Rs. 1,000.
Who is eligible for opening an FD account in Citibank? What documents are required to open an FD account in Citibank ? The documents required to open an FD account in Citibank includes PAN Card, 2 Photographs. Is it possible to change the tenure of my existing fixed deposit account with Citibank ? Private sector lender, Citibank has revised interest rates on domestic term deposits with immediate effect. Citibank has announced an upward revision in the interest rate on domestic term deposits for an amount less than Rs. one crore across various tenors. For 7 to 14 days the rate has been revised to 3.00%, and for 181 days to 270 days, the rate has been revised to 6.00%.